Samsung is reportedly deploying yet another update for some of its top-tier smartphones, such as the Galaxy S8, Galaxy S8 Plus and Galaxy Note 8. The new Android Oreo updates the Always On Display (AOD) feature on all three smartphones and introduces support for GIF files. In order to enable the new feature, after the update head to Settings / Lock screen and security / Always On Display and choose Clock or Home button and clock. You’ll then have to return to the Lock screen and security and tap Clock and FaceWidgets option. Then, select Clock style to be presented with a range of clock styles that you can choose from. The one you need to select is shown in the picture to the right of this article. If you want to take advantage of Samsung’s new GIF functionality, you need only visit your smartphone’s media gallery and select the GIF you want to use. After doing so, simply tap the three-dot settings icon in the top right and set the GIF as your AOD image. For the time being, this feature is only available to owners of a Galaxy S8, S8+ or Note 8 device. 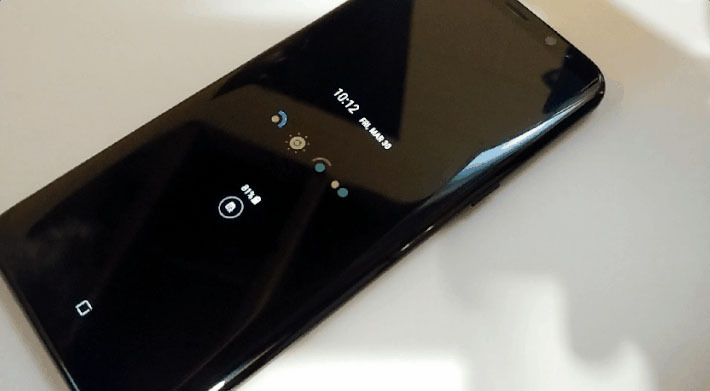 As of writing, owners of anything older or newer than that, such as the Galaxy S7, Galaxy S9 and Galaxy S9 Plus, respectively, do not have access to the functionality.